I don’t know about you, but I am loving scarves these days. 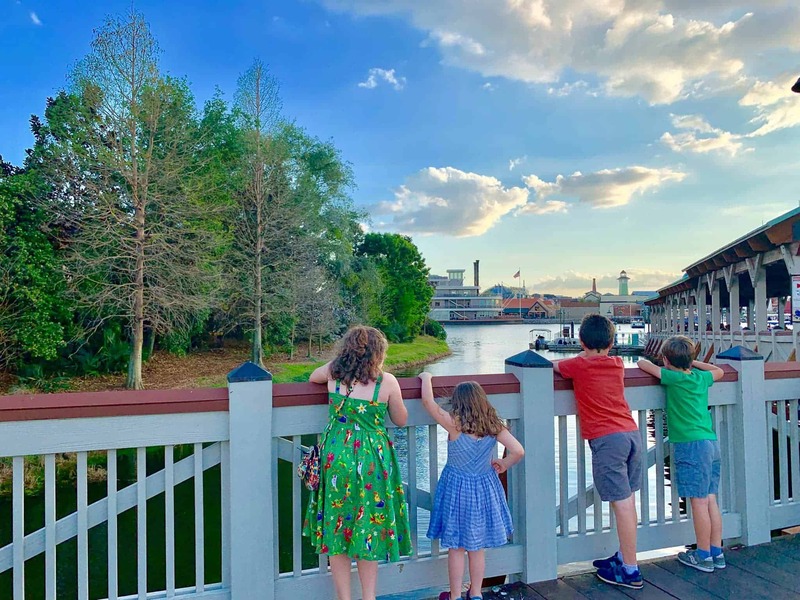 They just help me feel put together when we go out, even if my other accessories are spit-up and food stains from being a napkin for my littles. When my friend texted me asking me about nursing scarves, I had to do a quick search. What a great idea! I was always leaving my nursing cover at the house by accident. I would go to put it in the diaper bag and get sidetracked putting on shoes or changing diapers. Plus it was just something else to put in the diaper bag and weigh it down. 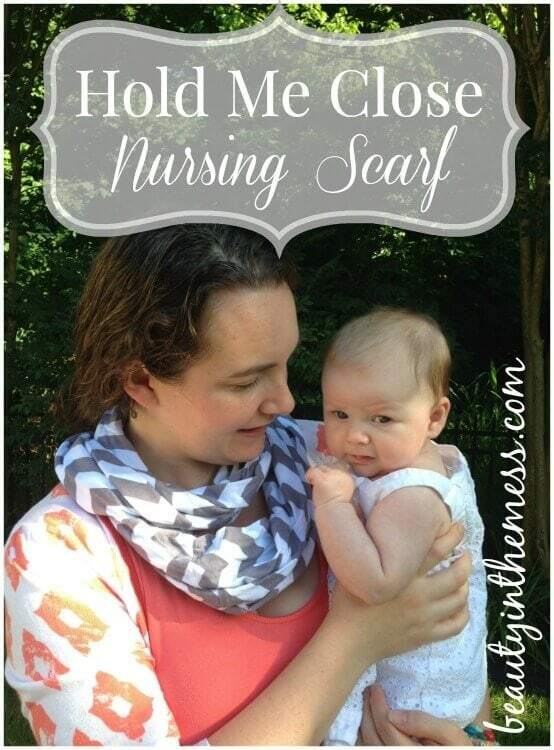 With a nursing scarf, you always have it with you. When baby is hungry, you just unwrap it a bit, and feed the baby. No searching around in the abyss of the diaper bag. No wondering if you left it at home. I love accessories that have multiple purposes! When I came across Hold Me Close on Etsy, I knew that I had to try it out. Sondra is the sweetest person. 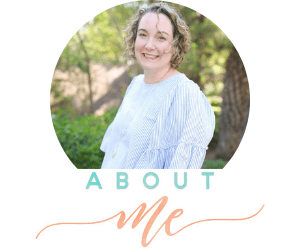 It’s been so fun watching how much her business has grown since I contacted her. 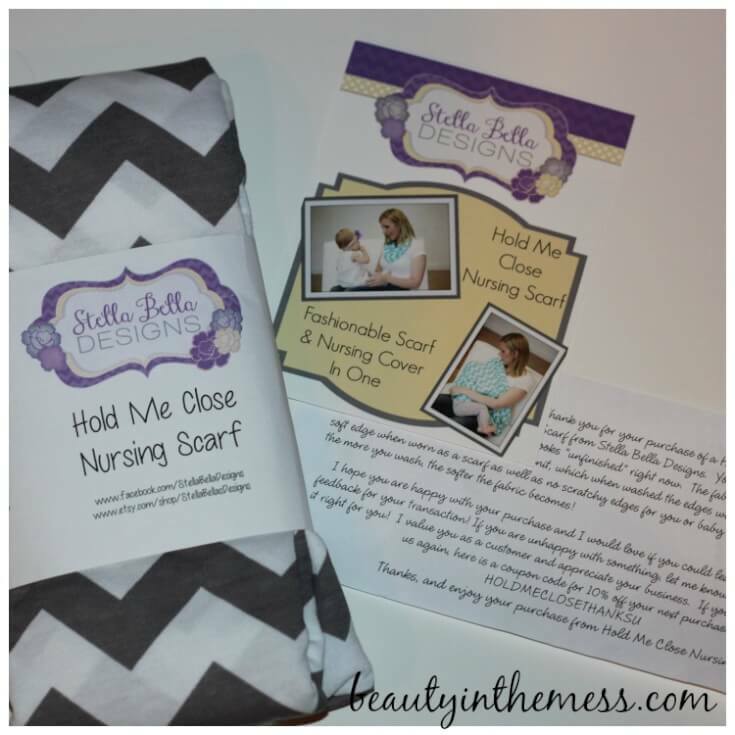 Very soon, you’ll be able to purchase her nursing scarves on Amazon.com, and in a retail store near you! It’s every homemade business owners dream come true! I have gotten so many compliments. Everyone has been so surprised when they find out my stylish scarf doubles as a nursing cover. I love it! So far, baby girl hasn’t minded either. It keeps us both covered when we’re out in public, and when she’s hungry I don’t have to spend precious time digging through the diaper bag trying to find it. 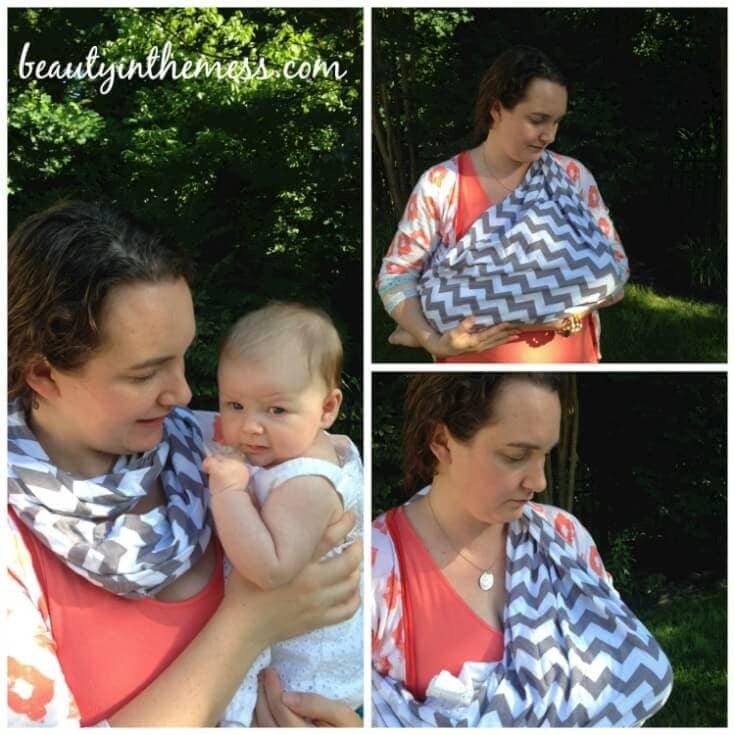 I am loving grey chevron at the moment, but Hold Me Close has so many great fabric choices. Coral is one of my new favorite colors. Icy Mint is soothing and makes me want to sit on the beach. There is also a super fun tribal print. 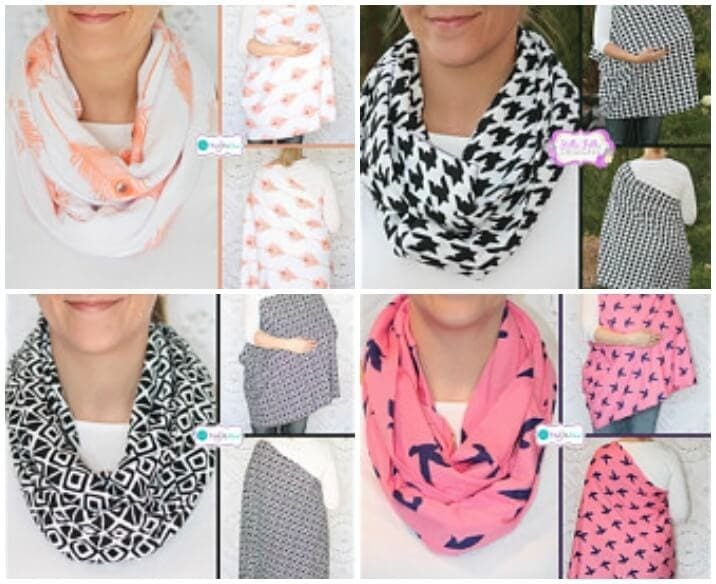 Which Hold Me Close nursing scarf pattern is your favorite?